What would it be like to spend an evening with groundbreaking singer-songwriters Joni Mitchell, Carole King and Carly Simon, hearing them sharing behind-the-scenes stories and singing their signature songs? 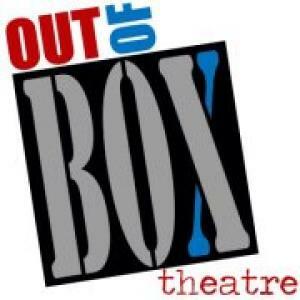 "Shadows and Light," an original musical by Annie Cook, brings the spirit of these living legends to the intimate space of Marietta’s Out of Box Theatre to create a magical musical experience. Hear the stories behind some of your favorite folk, pop and rootsy rock songs -- from "Both Sides Now" to "Will You Love Me Tomorrow" to "You’re So Vain." It’s a stirring, lively tribute to these Grammy-winning, envelope-pushing Hall of Famers. In "Shadows and Light," Annie Cook has devised a musical revue that intermingles the music and life stories of Carole King, Joni Mitchell, and Carly Simon. A common thread is James Taylor, with whom all these singer-songwriters were involved, professionally and/or personally. Another thread is the time period in which they all were popular. The songs appear in generally chronological sequence, usually introduced by a brief biographical description of the song’s origin. It’s interesting and informative, and boy! does it sound good. Annie Cook has selected a terrific cast for this production. Gia Nappo, MK Penley, and Emily Sams are all appealing, attractive performers who don’t necessarily resemble the person their songs pay tribute to. (Ms. Nappo, in particular, resembles Joan Baez far more than Joni Mitchell.) They have voices that blend beautifully (as does Ms. Cook, on keyboard and backup vocals), and all play musical instruments of some sort, most notably Ms. Nappo in several impressive guitar accompaniments. On a two-performance day, their voices showed a little wear in the second act of the second performance, but these are first-class voices. Ms. Penley shows her cruise show professionalism in several rousing Carole King numbers. Ms. Nappo and Ms. Sams, with higher and lower voices, respectively, are generally given more challenging numbers to perform, with less of the pop hook musicality favored by Carole King. Joel Coady has designed an attractive set for the production, consisting of stepped platforms stage left and a living room set stage right, complete with console TV and hi-fi system. There’s a lot of movement in the show, and Jon Liles’ lighting design nimbly focuses attention where it needs to be from segment to segment. Aside from a little microphone noise in one number at the performance I saw, his sound design also allows seamless transitions. This is a good-looking, great-sounding show. There was a lot of darkness and pain in the lives of these three women (providing the "shadows" of the title), but the overall feeling of the show is of light, optimism, and female empowerment. The easy rapport among the actresses contributes to the feel-good atmosphere. And constantly on stage, ensconced behind her keyboard, Annie Cook keeps the whole thing going along like gangbusters with her professional arrangements and impeccable playing.